Hoping to hop on this for a new project I am working on. I cannot imagine that I could walk into a room with this lantern and not go weak in the knees. The cover with the interior beefed up a little. You should buy the issue -- there are some fabulous other photos of Anthony Watson and Benoit Rauzy's home that aren't digitally available. You will love the whole issue. (This is not a paid promotion_. 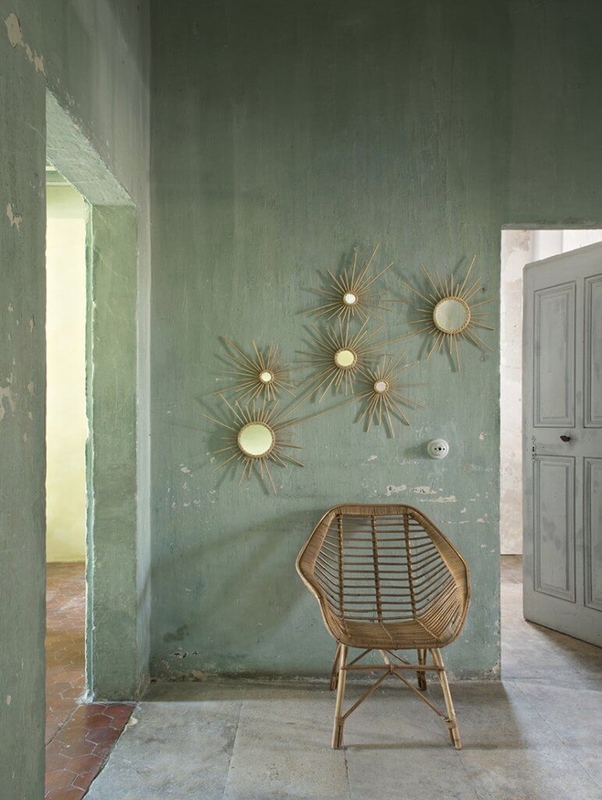 I am not sure whether it is the color green used or the mirrors or the patina or the perfect pitch of analogous colors (this green and the warn golden brown of the wicker), but this shot really gets me. I am not sure that I could be crazier about a crib!! So gorgeous! I am imagining this in my den and just the thought sends me over the moon. 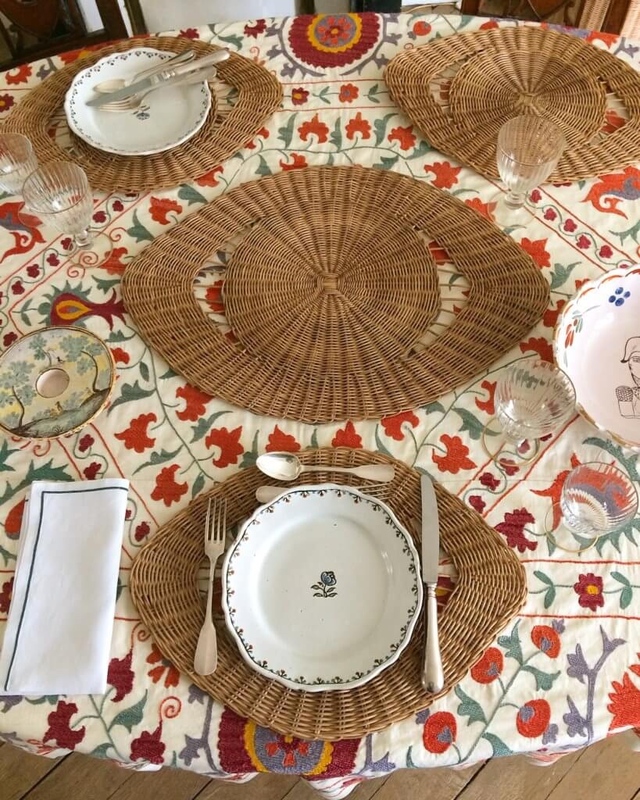 I have been searching and searching and searching for the perfect summer placemat because I am totally over my rattan ones and just can't seem to find anything that doesn't seem like a cliché or overdone. These, tho! They stopped me dead. And, I love that there is enough space for the utensils on the right and left. Perfection!!! If you are looking to add a dash of sublime perfection to your life. . . 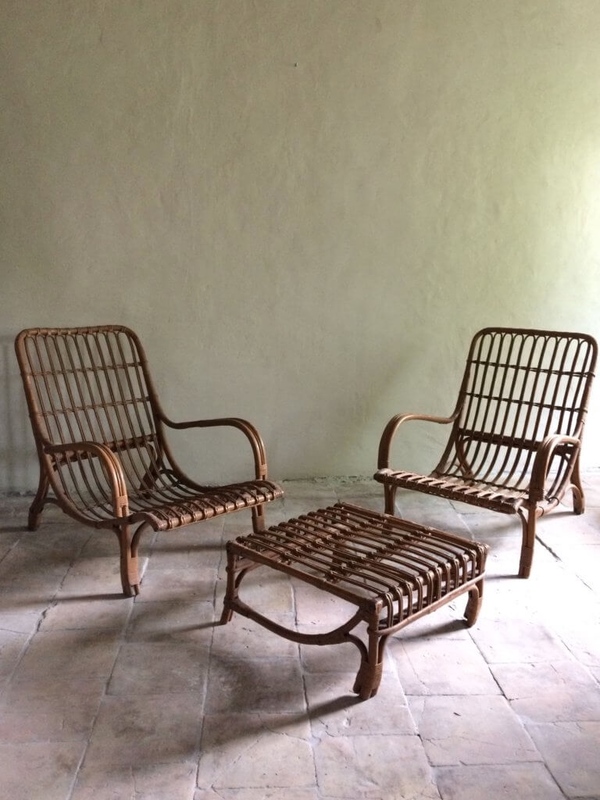 I first came across Atelier Vime last summer in the June issue of AD in a feature entitled, "Dream Weavers; Three friends in Provence are reviving the local wicker industry for a stylish new audience." (Check the digit article out here.). 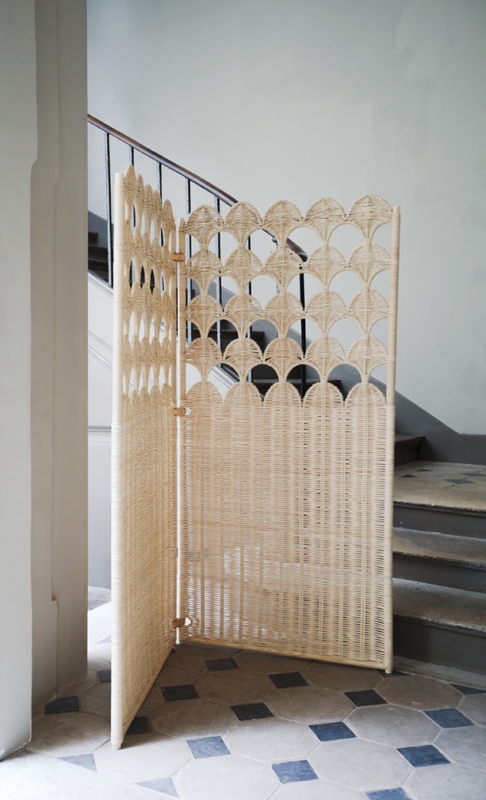 If the wicker lampshades and the wall of small-ish wicker starburst mirrors weren't enough, the story of bringing the dying art of wicker-making back to life was extremely charming. 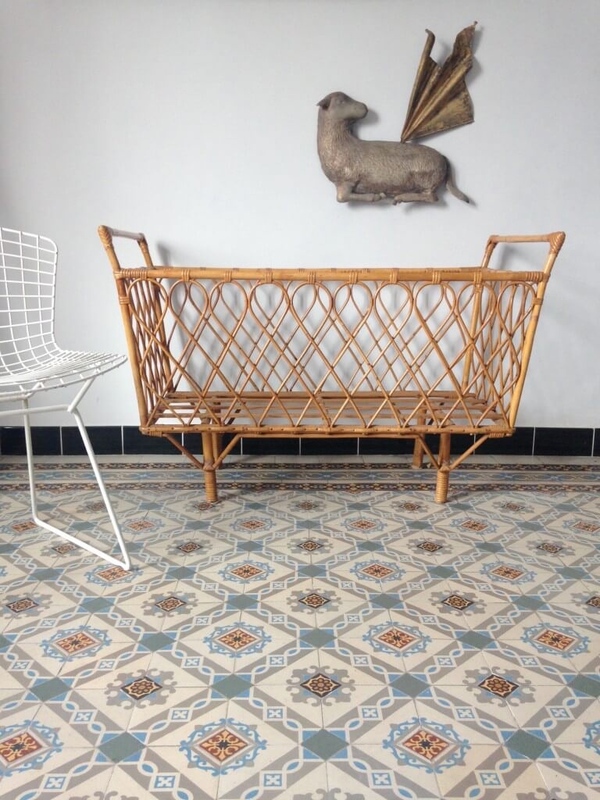 At the time, I was heading out to Provence so I contacted Anthony Watson directly to see if they had a shop or showroom presence that I might visit while in the area. Sadly, the two showrooms they had in the works would not be open before I left, but the article and the website left an almost indelible mark. So much so that I return to the site over and over and over and over. 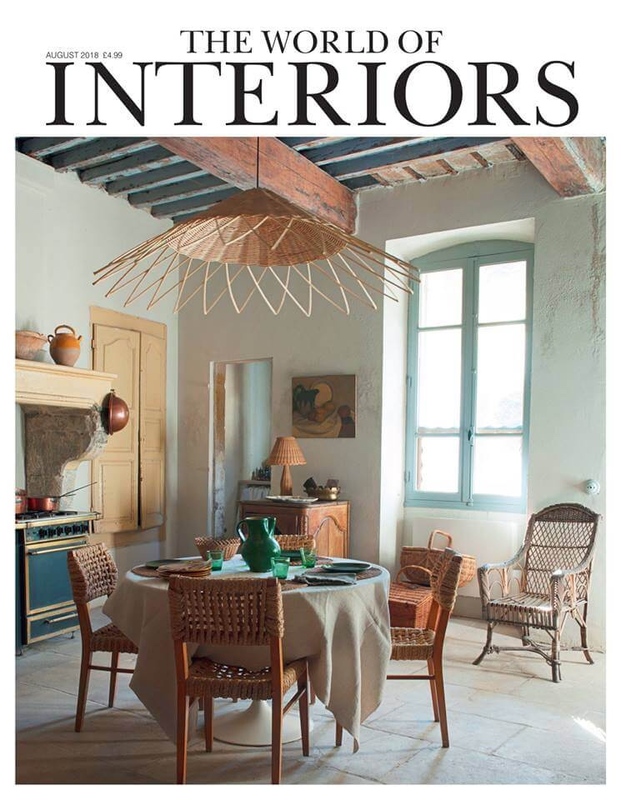 So, when I got back from California last week, I was not surprised to see the very familiar kitchen of Anthony Watson and Benoit Rauzy gracing the cover of this month's World of Interiors. (You have to check out the issue -- the other photos of Anthony and Benoit's home are captivating - and so is the rest of the issue.). Aterlier Vime has two lives. 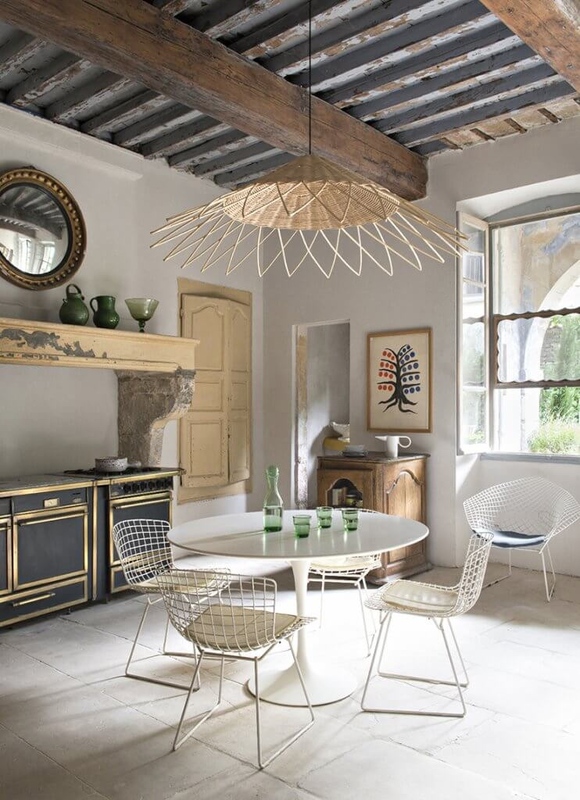 First, it has revived, as the AD article notes, the vibrant wicker weaving industry that has defined Vallebrègues in Provence dating back to the ancient Romans and reaching it's fever pitch over 150 years ago. The collective expertise of the area is extraordinary and so are the "Editions" that have ensued. (Check them out here). 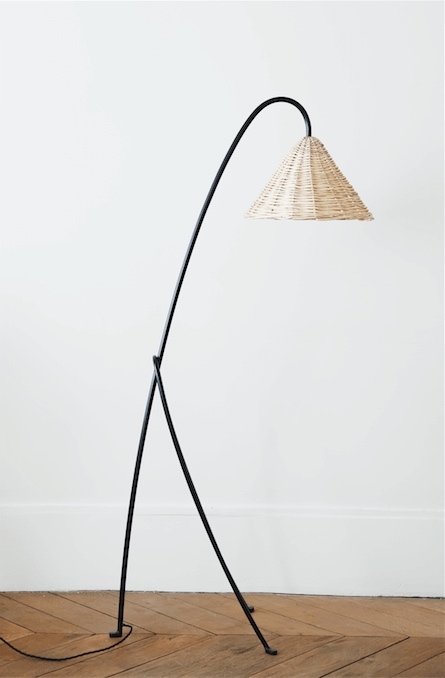 I am so crazy for their tabletop items, their floor lamps, and, especially, their hanging lanterns that absolutely slay. 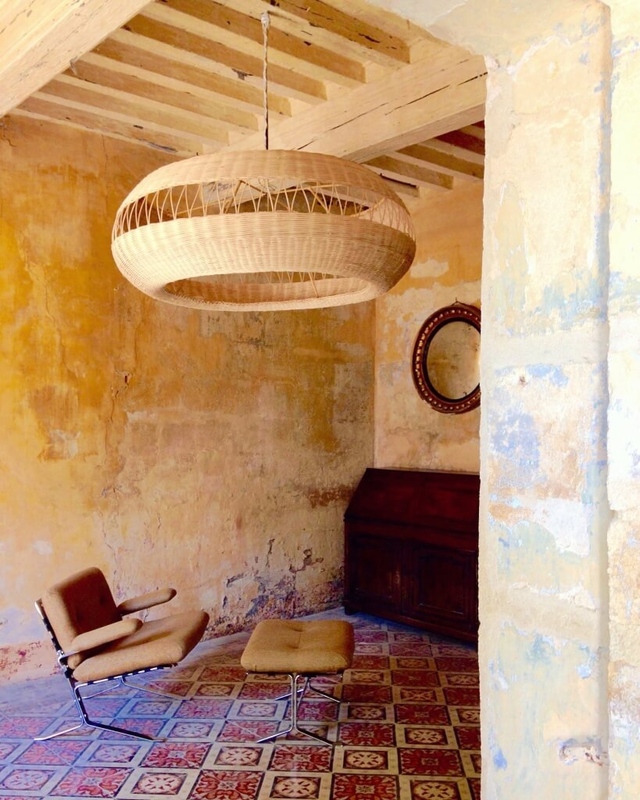 Second, Atelier Vime has a golden eye for vintage, shopping all of the best flea markets in Provence to curate a collection of only the most choice pieces from the past. Check out the current inventory here. So, I have my shipper lined up and I am headed to Provence next week. Email me if you want me to grab something for you while I am there!